Later this year, the ACE programme is testing an alternative way to diagnose patients with vague but concerning symptoms. Instead of direct access, where the GP refers a patient for a specific test, GPs can instead send patients to a centre with a range of diagnostic tests and a range of specialists. The CHHiP trial found that fewer but higher doses of radiotherapy were just as effective at treating prostate cancer. This sub-study, in a group of men randomised to receive image-guided radiotherapy, focused on reducing a common side-effect of radiotherapy treatment for prostate cancer: erectile dysfunction. I’m not saying that top Juno execs or FDA officials were duplicitous or didn’t believe that they were right. That would be a crime. But they were clearly wrong, and Juno recklessly jumped back into human testing without being required by regulators to prove their case and make the proper adjustments. The next step in the filing process, the EMA Day 180 List of Outstanding Issues, is expected in the first quarter of 2017. The application, which is seeking approval for KEYTRUDA at a fixed dose of 200 mg every three weeks, is based on data from five uncontrolled, open-label, multi-cohort, multi-site phase I/II trials investigating the activity of KEYTRUDA in MSI-H cancer. France's Innate Pharma believes that its cash position and portfolio are sufficiently robust for the cancer drug company to remain independent for the time being and will seek co-development deals modeled on an agreement struck with AstraZeneca in April. Over the summer, for instance, pharma giant Novartis licensed a pair of blood cancer treatments from Xencor in what was widely reported as a $2.4 billion deal. Just 6 percent of that sum came in up-front cash. The products, pulmonary arterial hypertension drugs Opsumit and Uptravi, have both made solid starts to commercial life, cementing expectations that their annual sales will top out at approximately $2 billion. That would give J&J a ready-made source of revenues at a time when it is looking to M&A to offset the forecast effect of biosimilars on its blockbuster Remicade. J&J and Actelion have made it official. The pharma giant is involved in talks to acquire the Swiss biotech, which had a market cap of $16.4 billion, before word of the buyout talks first surfaced in Bloomberg. This workshop will bring together the expertise from international partners and stakeholders who participate in pharmacovigilance activities: regulatory and public health bodies, healthcare-professional and patient/consumer organisations, academia, learned societies and the pharmaceutical industry. ractices such as “rebate pumping,” which means favoring higher-cost drugs on a formulary to increase rebates, and “spread pricing,” in which the pharmacy benefit manager charges the plan sponsor a higher cost than what is paid to the pharmacy, can lead to higher costs for the plan sponsor which in turn can increase premiums and copays for patients. 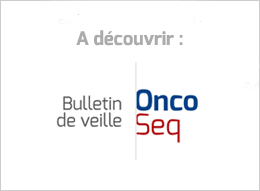 New Data on EndoPredict®, myRisk™ Hereditary Cancer and myChoice® HRD. Cancer increases a person’s risk of venous thromboembolism (VTE) four- to seven-fold (1), with chemotherapy further increasing the risk by up to 6.5 times (2). Beyond the cancer itself, blood clots are the leading cause of death in patients with cancer (3). Seven oral and poster presentations will provide insights on the effectiveness, safety and cost-effectiveness of Xarelto in patients with cancer, including findings from a sub-analysis of the non-interventional XALIA study. The Cures Act, which passed the House by a landslide in July 2015, has been the focus of dozens of congressional hearings and endless debate among Republicans and Democrats over the past three years. During this time, more than 1,300 lobbyists have roamed the halls of Congress, pressing for passage on behalf of pharmaceutical companies, medical device firms, and patient advocacy groups. The truth is, we’re all terminal. I could also get hit by a bus tomorrow. Or I could beat the odds and live till I’m 90. But whatever my time left on this earth, I’ll now endeavor forward with some earned resolve. I am the person I want to be. I’m not afraid. I was asked one question, though, which really made me think. Why had I decided to be so public about my cancer? Which as I sat in the Maggie’s centre did make me think about how privileged my position is compared with so many others with cancer diagnoses. To get around this cozy relationship between drug companies and patient groups, Zuckerman runs training sessions to teach people to serve as the voice of the patient, independent of advocacy groups. But Prabhu is quick to point out it’s not just down to the public. He thinks that we also need to do more to increase knowledge of mouth cancer among dentists, doctors, nurses and hygienists.